Tiffany Haddish (center) Visiting with staff at L.A. County Probation's Camp Scott in Santa Clarita. 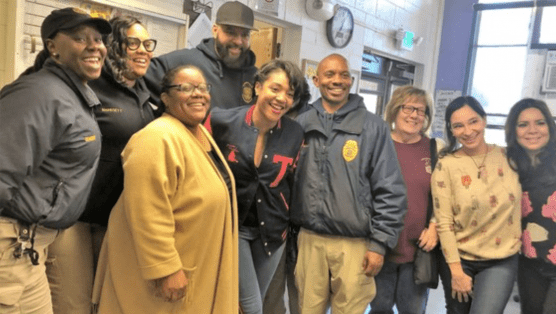 The girls and staff at Los Angeles County Probation’s Camp Scott in Santa Clarita were surprised and delighted last month when they received an unannounced visit from actress, comedian and author Tiffany Haddish. Ms. Haddish, star of recent movies Night School and Girls Trip, is a Los Angeles native who shares a common background with many of the girls at Camp Scott-being a former youth in the foster care system. Keep up the great work Tiffany!